Laundry! We never run out of it! It's all good though! My tackle is up here. Happy Tuesday! Good luck tackling those baskets!! Looks like my house right now!! 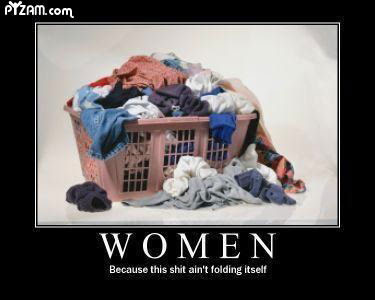 Laundry, lol! I have to some every day or it will take over the house. Nope, pretty much says it all at our house! Thanks for the giggle, sort of. My 13yo decided she hated cleaning the bathroom. I said she had to pick a different job that I did. She chose laundry. It is SO NICE to have it done for you. Now if I could just get everything else done. This is my tackle at least once a week. I keep vowing to myself that I will start doing a load a day, but I don't. Great tackle though! Have a great day!